Arizona Bimmer Motor Werks is a family owned business. Cody and Nick are Arizona natives who grew up with a passion for BMWs. They both excelled in H.S. auto shop, earning themselves scholarships to technical school. Through hard work and dedication, they placed at the top of their classes and were accepted to BMW Service Technician Education Program (STEP). After traveling and working in different BMW dealerships, Nick and Cody believed the could offer the customer more by creating their own Independent Service Shop. They joined forces and opened AZ Bimmer Motor Werks, your dealership alternative to BMW service and repair! Cody was born and raised in Sahuarita, AZ. He graduated from Universal Technical Institute in 2001 and completed the BMW STEP Program in 2002. 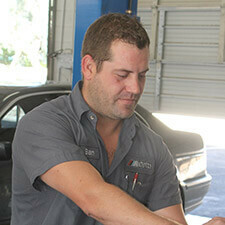 Cody then worked at a BMW dealership for 6 years as a BMW Master Certified Technician. 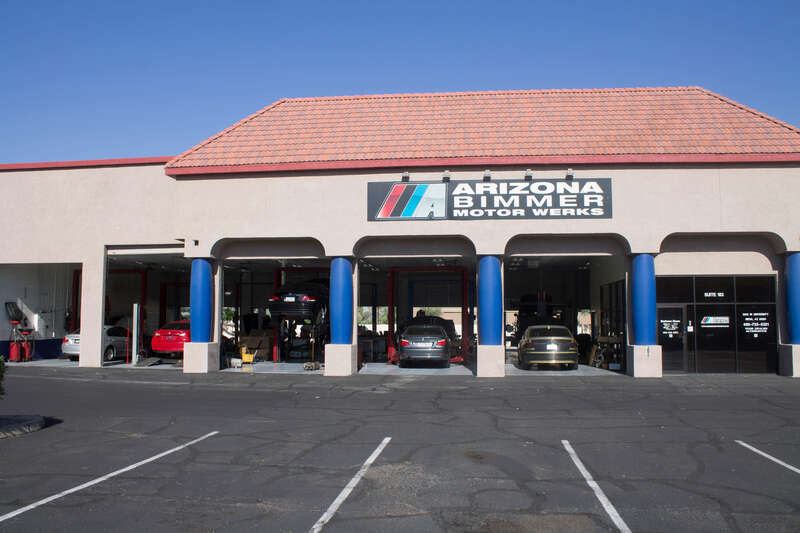 He left the dealership in 2008 with the belief that he could offer customers better service at a more affordable rate by opening Arizona Bimmer Motor Werks. Cody is married and has three children – two girls and one boy. His hobbies include anything racing – drag racing, motocross, dirt track, you name it. Even Cody’s children are starting to race! Nick was born and raised in Tucson, AZ where he attended Flowing Wells High School and excelled in High School Auto Shop. In fact, Nick won a scholarship to Universal Technical Institute in Phoenix by winning several automotive contests. He then went throught the BMW STEP Program in Phoenix and was recruited from BMW STEP by Fort Lauderdale BMW, where he completed his first 2 years of BMW service. In 2003, Nick moved back to Phoenix AZ in 2003 and worked for Chapman BMW in Scottsdale, until 2008 when he and his business partner Cody opened Arizona Bimmer Motor Werks. Nick is married and he and his wife have one daughter, with a son on the way in July 2015. He enjoys spending time with his family going camping in the woods of northern Arizona. His own interests and hobbies include riding and racing motorcycles, hot rods, and classic cars. Zak was born and raised in South Florida. He attended college in Orlando, for Music & Audio Production. 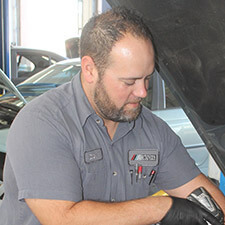 Zak moved to Phoenix in 2007, and he began working for Arizona Bimmer Motor Werks in 2012 as a Service Advisor. His hobbies include motorcycle riding, classic cars, and car shows. Ben was born and raised in Sahuarita, AZ. He attended Universal Technical Institute, and then he continued on to attend a BMW STEP Program. Ben worked at Chapman BMW on Camelback for 8 years, and has been working for Arizona Bimmer Motor Werks since 2012. He now lives in Scottsdale, and he enjoys racing dirt track modifies, golfing, fishing, and typically any outdoor activities.